Here are the top Big Island attractions to visit when vacationing on this magical Hawaiian Island! Big Island is packed full of fabulous attractions that will keep you busy for days. From exploring volcanoes to learning how coffee is made, there is a treat for all ages. Walk through an eerie lava tube and study the skies from a mountain observatory. See ancient temples, explore deep caverns and swim in crystal clear natural pools under cascading waterfalls. Sports lovers can snorkel and dive and historians can learn all about Captain Cook. Bargain at a local farmers market for handmade craft, eat a freshly prepared seafood dish on the pier and finish off with chocolate smothered macadamia nuts. Delicious! The Hawaii Volcanoes National Park is a World Heritage Site and should be your first Big Island attraction to visit. It will thrill with the famous Kilauea Volcano which spouts molten lava, ash and steam. Take the Crater Rim Drive that skirts the rim of the caldera and stop for photos at the lookout points as you travel from the rainforest to the desert. Along the way you will also the surreal Thurston Lava Tube, a long hollow cave formation, created by molten flowing lava. Then visit the Holei Sea Arch, a massive rocky arch standing in the sea at the end of the Chain of Craters Road. This formation was carved out of rock by the crashing waves of the Pacific Ocean and makes an astounding sight. Head to the Sulphur Banks, a surreal barren landscape where the smell of sulphur will fill your nose. Under the Earth, the hot gases bubble and burst out through fissures in the ground, creating Steam Vents that hiss and smoke. Then get a feeling of what a landscape looks like after it has been destroyed by a live volcano! The Devastation Trail takes you on a 30 minute walk through this Big Island attraction devastated by the 1959 eruption of Kilauea Iki. The next fascinating Big Island attraction to explore is the Thurston Lava Tube, located inside the Hawaii Volcanoes National Park. This Lava Tube was created when lava flowed out of the earth 400 years ago and formed a hardened tube 600 feet long. Get ready to explore! It was discovered in 1913 by a newspaper publisher called Lorrin Thurston. The barren tube is lit by electric lights and has an eerie glow. Cross the small bridge and venture inside, take a 15 minute walk through the tube. You will feel as though you are on another planet as you descend into the depths. The walk is safe and suitable for most ages. Watch your head as the roof is low in some places. As you walk, imagine burning red-hot lava rushing through the tube. 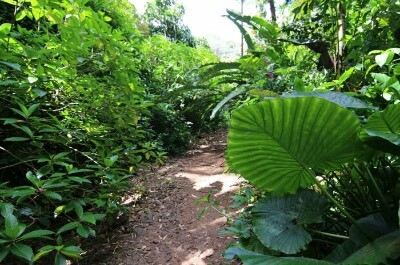 When you emerge out into the lush, green rainforest you will be awed by the contrast of landscapes you are experiencing. 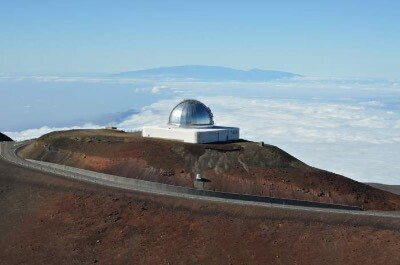 Star gazers and those who are enthralled by the origins of the Universe must visit our next awesome Big Island attraction, the Mauna Kea Summit & Observatory. This imposing mountain stands at 13,796 feet high and is Hawaii's tallest mountain. As such, it makes the perfect observation point to explore the skies and has attracted astronomical observatories from around the world. Start at the Visitor Information Station located at 9,300 feet. There are fascinating interactive displays and videos that will thrill all ages. You can gaze through telescopes, listen to talks and take a guided tour. If you are fit, put on your hiking gear and set off for the summit. It is a 5 hour walk and you need to be fully prepared for all weather conditions. This rugged trail is recommended only for experienced climbers but when you reach the top it is well worth the trip! Visit a natural wonderland of cascading waterfalls, crashing waves and lush green rainforests. 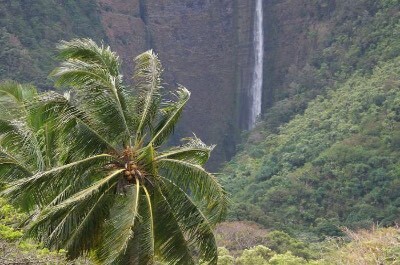 The Waipi'o Valley is a fabulous Big Island attraction and makes a great day outing for the whole family. This amphitheater is surrounded by towering cliffs that rise up 1000's of meters, creating an enclosed paradise waiting to be explored. Look down from the top for breathtaking views and then venture slowly into the valley via the steep path. Feel the magic surround you as you learn about ancient battles that were fought here by Kamehameha the Great, see the royal burial caves and the ancient temples. For a great experience, join an ATV tour through the Waipi'o Valley. You can drive your own vehicle or be driven by a guide who is an experienced and professional local, who will take you to the best viewing spots. Walk on the black sand beach, take a dip in the azure waters, swim in a natural pool under a crashing waterfall and enjoy fabulous views of the famous Hiilawe Falls. Then relax with some light refreshments while he or she tells you all about the history of the valley. Set off to the western coast of the Island for another great Big Island attraction. 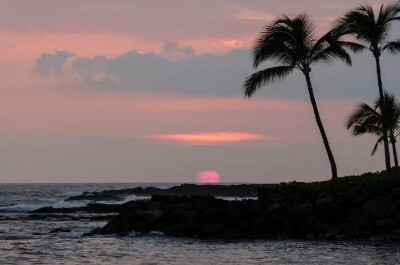 The area is called Kona but is often referred to locally as Kailua-Kona. This side of the island is dry and sunny and offers great weather, a host of watersports for the athletic types and great beaches to explore. Swim in the azure waters, then relax and sip a cocktail under an umbrella. For those interested in history and culture, there are mesmerizing Hawaiian temples and museums to visit where you can have guided tours. See the former royal palaces of Kamakahonu and Hulihee and take a stroll through Hawaii's first church. Then enjoy some delicious local dishes at one of the many restaurants and make sure you sample some famous Kona coffee. Visit the shops and buy hand made crafts to take home as souvenirs. Then walk the scenic oceanfront drive to Kailua Pier for stunning views and people watching. If you are here in October, be sure not to miss the annual Ironman Triathlon. Are you a surfer or just love to watch the professionals at play? Then head off to our next Big Island attraction, Isaac Hale Beach Park. This beach at Pohoiki Bay is a favourite spot with locals and can get very crowded, so be prepared! If you prefer peace and quiet, plan to visit on the weekend. This beach is rocky and rough, so wear suitable shoes. The views are amazing and the sight of surfers riding the huge waves will have you reaching for your camera. Isaac Hale Beach Park makes a great spot for swimming and snorkeling with a fabulous variety of marine life waiting to be discovered. You can take a boat ride, enjoy a picnic at one of the shaded picnic tables and there are clean restrooms and ample parking. 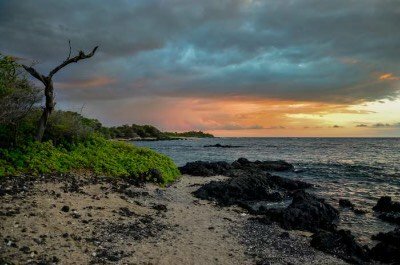 If you want to take a walk to see the area surrounding this Big Island attraction, stroll along the shoreline near to the boat ramp. A small trail leads you to a lovely small natural hot spring where you can relax and soak. Calling all snorklers and scuba divers! For the best experience of discovering underwater marine life, you cannot miss the Big Island attraction, the beautiful protected waters of Kealakekua Bay. This remote area is also great for hiking and you are are likely to be thrilled as you come across ruins of ancient temples and villages. The shoreline features the iconic large 27 foot tall concrete, white Obelisk that commemorates the death of Captain James Cook here in 1779. Take a boat trip to see it up close and watch for dolphins and whales on the way. Depending on the time of the year, you will be treated to amazing sights of these creatures swimming alongside your vessel. For something different, join a luxury snorkel cruise and explore with a professional guide. You will have hours of fun underwater and the kids will love sliding down the 15 foot water slide and jumping from the top deck! Equipment is provided and your safety is ensured. Afterwards, learn all about this popular Big Island attraction while enjoying a cooked grill on the boat, hosted by your captain. 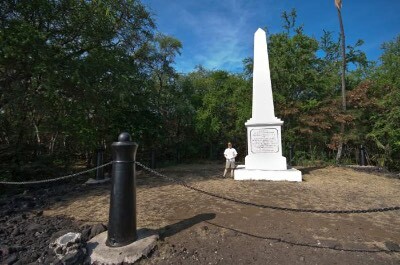 For those intrigued by history, a visit to the Big Island attraction, the Captain Cook Monument is a must. 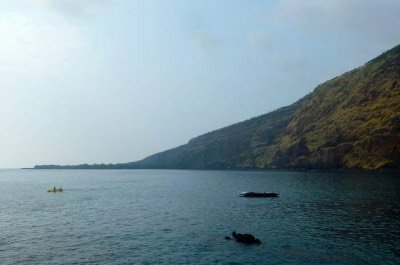 This famous landmark is unreachable by road and is located in a remote spot on Kealakekua Bay. Tourists can choose to take an hour long hike along a moderately steep trail or opt for a fun boat or kayak ride. If you are ambitious, you can surf or paddle board out to see it. If you prefer to travel in style, join a tour with a professional guide who will take you to the monument. This imposing structure was erected to commemorate the death of British explorer Captain James Cook. He discovered the Island and was murdered here together with four of his sailors in a dispute with the locals. Between 1874 and 1878, a 27 foot white, concrete obelisk was erected at the site to honor him. The land that it stands on is still British territory to this very day. This lush coast, with crystal clear water makes a fabulous spot to relax and soak up the atmosphere of Big Island. The waters are great for snorkeling and the black rocky beach offers an opportunity to collect sea treasures washed up by the waves. Imagine a place filled with ancient temples made of stone, sweeping beaches, lush valleys and golf courses surrounded by black lava fields. 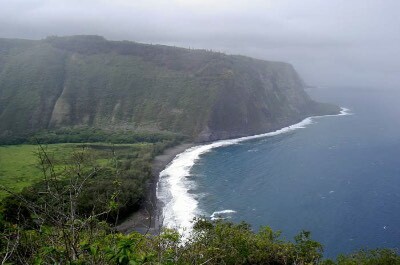 The Kohala district resembles a large thumb jutting into the sea and is found on the north western tip of the Big Island. It was formed over 120,000 years ago when a massive volcano erupted, spewing lava onto the sea shore. 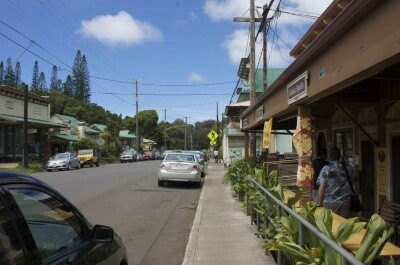 Today, the area is covered with lush valleys, quaint plantation towns and fascinating ancient Hawaiian religious sites. This Big Island attraction will take time to explore, so plan for a few days. It attracts a mix of people from cowboys to hippies and offers an amazing contrast of luxury resorts to stone temples. Golfers from around the world come to play on the famous courses of Waikoloa and Mauna Lani where the greens are surrounded by stark black lava fields. Explore on your own or join a tour that takes you to see spinner whales and stops for a swim in a natural pool under a waterfall. End your day with a traditional Polynesian feast and learn how to dance the Hula! The world's biggest volcano is so large that you may be standing on it and not know! It takes up most of the southern portion of Big island and is a not-to-be-missed Big Island attraction. 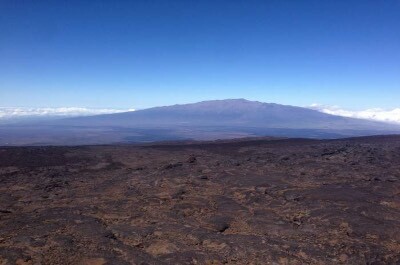 To get a good view of Mauna Loa, drive along the central Saddle Road. This road takes you through surreal barren lava rock hills to where the volcano meets with Mauna Kea. A 17 mile long scenic drive up the slopes offers astounding views. On the top of the volcano are numerous observatories that monitor weather conditions. Although Mauna Loa is an active volcano, its last eruption occurred in 1984 but did not cause any fatalities. 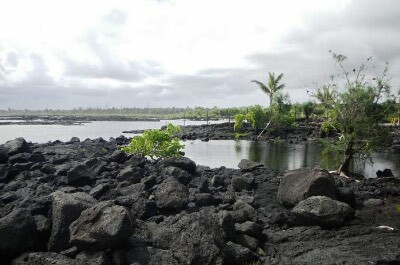 The eruptions of 1926 and 1950 destroyed local villages and the city of Hilo is partially constructed on these lava flows. 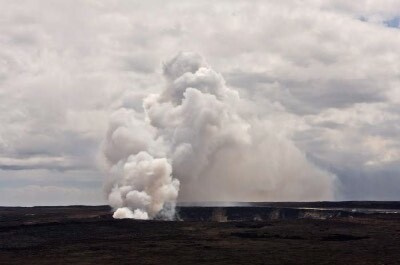 To learn more about Hawaii's famous volcanoes, join a guided tour that starts in Hilo and visits Mauna Loa and Mauna Kea. These small group tours can be customized to suit your preferences and are ideal for a group of friends or a family. 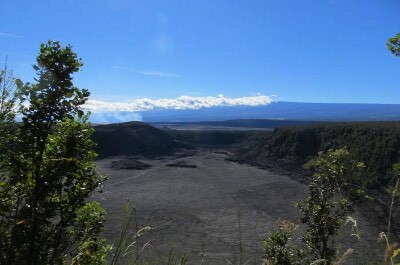 The Kilauea Iki Crater makes for a fascinating experience and is one of the most popular Big Island attractions. It was created in 1959 when fountains of lava from Kilauea volcano erupted almost 2,000 feet into the air. Filling the air with sulphur, the lava formed into a massive bubbling cauldron of hot molten lava 10 feet deep. Today, you can visit this amazing Big Island attraction and see intense activity that volcanologists from around the world come to study. You may even find that the earth feels warm as you stroll around! Get your hiking boots and follow the trial that cuts across the crater. It is a two hour trip and you do need to be fairly fit. The hike starts on the edge of the tropical rainforest and then descends into the crater, beware as the floor may still be steaming. You can also join a tour that takes you through the crater and ends with a fabulous dinner at the Volcano Winery. 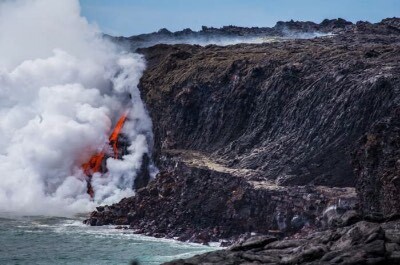 Now get ready for the main Big Island attraction, the Kilauea Volcano! Visiting this awe-inspiring World Heritage Site will create memories to last a lifetime. The volcano is still active and spews burning hot orange lava, vents steam and glows and sputters like some sci-fi monster. Your local guide will advise when conditions are safe and how close you can get. 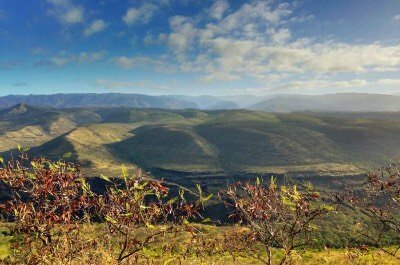 You can drive around the volcano's edge on the 11 mile Crater Rim Drive and stop at the designated look out points to gasp at the views and snap photos. Stop in at the Visitor's Center to learn about the trail conditions and join a guided walk. The weather conditions change rapidly so come suitably dressed. These trails are spectacular as they criss-cross the rim of the volcano. Then stop at the Jagger Museum to learn more and buy a souvenir to take home. For a unique experience, visit the volcano at night and watch the red hot molten lava flowing into the sea Ð an unforgettable sight! 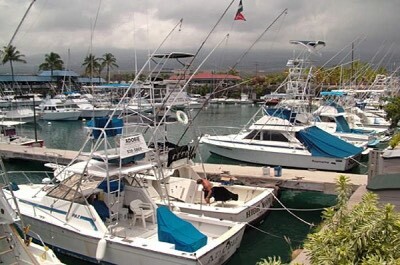 If you are a serious deep sea fisherman looking to catch a 1000 pound marlin or billfish, you need to get to our next Big Island attraction, the Honokohau Harbor. On this bustling 262-slip Marina you will find hundreds of local fisherman, professional sport fishing tours, luxury charter yachts and catamarans leaving for the deep waters off the coast. Take your pick! Head for the steep drop offs that beckon just off Kona's coast and try your hand at fishing. If fishing is not for you, why not join a snorkling or a scuba diving tour with a knowledgeable guide who will ensure your safety and take you to view the most amazing marine life that lives amongst the coral reefs? This Marina never sleeps and you can enjoy a meal at the Harbor House. Order a burger and beer, relax in the open air dining area and enjoy the views of the sailing vessels. For a fish meal, head to the Bite Me Fish Market Bar & Grill, they serve delicious seafood straight out of the ocean. The Marina has ATMs, clean restrooms with hot showers. Make a day of it! 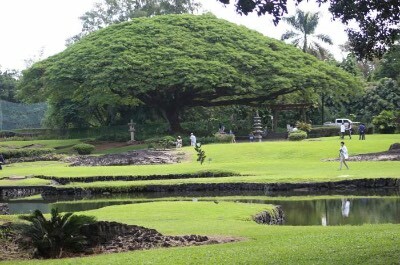 For a magical time in a magnificent garden setting, head off to the Liliuokalani Gardens. This Big Island attraction will relax your mind and rejuvenate your soul. The 30 acre Park was named after Queen Liliuokalani, the last monarch of the Kingdom of Hawaii before the annexation by the United States. It was built to honor the many Japanese sugar plantation workers and is designed as a combination of Hawaiian and Japanese styles. Wander around and cross the stone bridges that stretch across shallow brackish moats. The water flows through beautifully manicured, landscaped gardens with rolling green lawns that are adorned with quaint red pagodas. This extremely popular spot attracts locals and visitors who come to relax in the serene, natural setting. Follow the walking trails or take an evening jog. Then relax in the traditional Japanese Tea House and take part in a Tea Ceremony. A stunning waterfall that is surrounded by a full rainbow makes a amazing sight that cannot be missed. 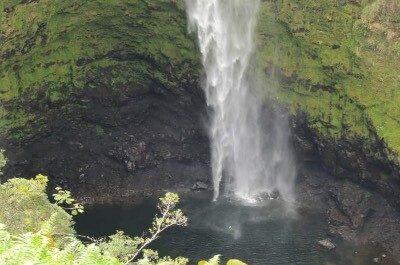 Take a trip to the beautiful Rainbow Falls, a not-to-be-missed Big Island attraction. The locals call the place Waianuenue, which means Rainbow, as a huge arching rainbow can be seen in the mists of the cascading waterfall. This awe-inspiring sight will leave you breathless and demands many photos. Located near the town of Hilo, it is easily accessible for all ages and levels of fitness. There is an easy walk of only 50 yards from the paved parking area in the Wailuku River State Park. A large viewing platform makes the perfect way to see the falls and the best time is around 10am when the angle of the sun is just right. If you are more adventurous, take a hike behind the falls where you will find a large cave, known as the home of Hina, the mythological Hawaiian God. This setting of an azure turquoise pool and the surrounding rain forest are used worldwide as the definitive photo of Paradise! 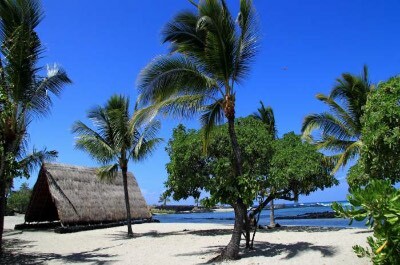 For a spine-tingling experience, a visit to Pu'uhonua o Honaunau National Historical Park must be the next Big Island attraction on your bucket list. First you need to understand the history! Up until 1819, Hawaiians were ruled by strict religious laws that were known as Kapu. The rules organized everyday life from what you could eat, what you could wear and were punishable by strict penalties if broken. Thousands of Kapu made life extremely difficult and many were punishable by death since the will of the Gods had been disrespected. If this happened, the unfortunate person had to find a Pu'uhonua, a place of refuge where an elder could cleanse you of your sin. If you were captured before getting to the sanctuary, the punishment was death! This Park houses one of the sanctuaries and makes a great day outing. Stroll around this Big Island attraction, see the huge imposing stone statues and imagine the stories of life and death that played out here. Join in the fun and experience the events that take place at another great Big Island attraction. Kailua Pier is famous for the annual Kona Ironman World Championships. It starts and ends right here and you will get to see world famous athletes. Another event that will thrill is the Kona International Billfish Tournament where you can see the massive catches being weighed and the proud fisherman taking selfies with their catch. The Pier is located on the north end of Kailua-Kona's tourist area. It was originally built as a dock using rocks from the old Hawaiian palace and walls of the fort, making it an interesting venue for historians. Today, ships do not dock here as it is used as a grand event and Festival area. There is a small beach in front of the King Kamehameha Marriott Hotel that has public showers and restrooms. Plan a day outing and catch the Kona Brewers' Festival and the famous Kona International Surf Film Festival. 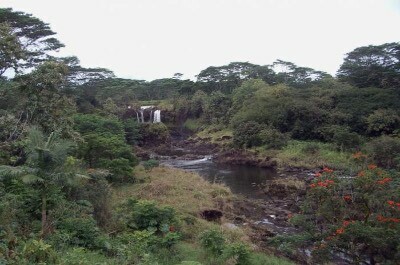 Looking for a beautiful natural area only 10 minutes away from the town of Hilo? Head to the stunning Wailuku River State Park which offers a host of picture-perfect Big Island attractions. The first is the famous and awe-inspiring Rain Falls. This waterfall cascades downwards over the cliffs into a natural pool that sparkles with a perfect rainbow. Watch the colors dance in the mist and make sure you have your camera close by! Then continue to see the Boiling Pots. These are deep, circular pools that appear to bubble and boil when the water is high, creating a dramatic and somewhat scary effect. For more, continue to the PeÔepeÔe Falls behind the pool, to see another spectacular waterfall cascading 60 feet downwards to the rocks below. 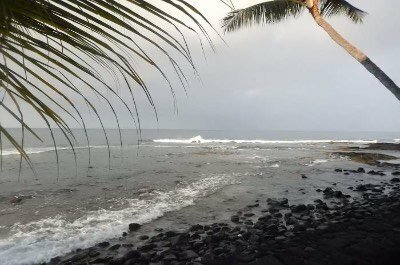 This Big Island attraction is at its best after heavy rains, but beware, swimming is dangerous and the trails down to the water's edge can be slippery. Be safe and admire the scenery from the easily accessible lookout points. Plan a picnic on the grass and and enjoy the magnificent natural settings. Flower lovers may know that Hawaii is not the natural home of the Orchid, but they will be delighted to know that one of the world's most beautiful Orchid Gardens is located right here. This Big Island attraction is called Akatsuka Orchid Gardens and features over 1000 species of orchids in an awe-inspiring colorful display. The Garden is owned and tended by Moriyasu Akatsuka, a company that has been cultivating orchids for centuries in this mountainside venue. Exceptional rare orchids like the Paphiopedilum are found here. This species was brought from Thailand, almost extinct and was nursed back to health. Take a guided tour and see this rare beauty, valued at $20,000! It blooms between May and September and is locally known as the Volcano Queen. 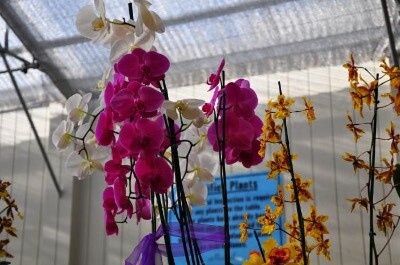 Your guide will educate you on Orchids and you can take part in grower's activities. Then relax and sample some estate grown Poha Berry Ice cream. At the end of the tour you get to take home your very own baby orchid! Imagine driving along a road that traverses the edge of a massive volcanic crater. Our next fabulous Big Island attraction is just that! Plan for a day drive along the 11 mile Crater Rim Drive to see the most spectacular sights. The road is located inside the Volcanoes National Park and allows you to explore the volcano from numerous lookout points. There are also spots to stop and take a hike to get closer if you are brave. The road takes about half an hour to travel, but plan for much more time. Stop, climb out of you car, explore and get immersed in this surreal landscape. Before setting off, visit the Kilauea Visitor Center to get the latest information, including ranger-guided hike schedules. Depending on volcanic activity, some lookout points and sections may be closed, making this even more exciting and fascinating. After travelling the road, relax at the Center and watch the educational movies to learn about this Big Island attraction, the history and the volcanic activity. Escape the heat of Kona and head to North Kohala where you will find the enchanting town of Hawi. It may not be a Big Island attraction on your to-do list, but you will be thrilled to discover it. This quaint town offers one street full of art galleries, fun restaurants and quaint stores. The only thing to do is relax and browse! Check out the local bulletin board for the day's news and grab some handmade fudge to start you off. Chat to the local artists in their funky venues and sip some fresh guava juice under a tree. Everyone is friendly and laid back! 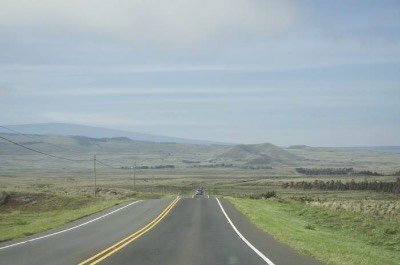 When you are done, take a drive inland on the Kohala Mountain Road. 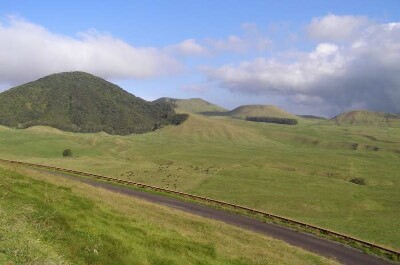 It winds through beautiful pastures toward Waimea and is one of the most scenic drives in Hawaii. Then head in the opposite direction into the green and lush Pololu Valley for a scenic and unforgettable eight mile drive. Hawi is a not-to-be-missed Big Island attraction. Hawaii is known for its spectacular waterfalls and the Hi'ilawe Falls is one of the highest at 1,450 feet. This stunning sight can be seen from the road through the WaipiÔo Valley. Unfortunately, tourists cannot get to the base as it is on private property. But don't despair, the site of this plunging, ribbon-like waterfall plummeting down the verdant green mountainside cannot be missed. This is where King Kamehameha was raised, making it extra dramatic and steeped in history. This Big Island attraction is the highest waterfall in Hawaii and becomes a rushing torrent after the heavy rains. During the rest of the year, the river above it is diverted, accounting for its narrow shape. For some extra fun, join an ATV tour or a horse riding tour that will take you through the valley to get some great views of the falls from scenic lookout points. A delicious gourmet lunch is part of the trip, making this a great day outing. Photo by Steve Kennedy on Flickr. Calling lovers of markets! Located in the town of Hilo is a fabulous, vibrant, colorful market that will have you browsing and bargaining for hours. The Hilo Farmers Market is a famous Big Island attraction, known throughout Hawaii, attracting vendors from around the region who come to trade their wares. Stroll around and soak up the tropical vibe. You will find delicious fruits and vegetables bursting with flavor as well as locally-grown herbs and nuts. There are vendors selling jams and freshly baked items made with local produce. Watch the craftsmen at work and buy a souvenir to take home, there is ample choice from clothing to jewelry, statues, hats, fabrics and traditional Hawaiian items. 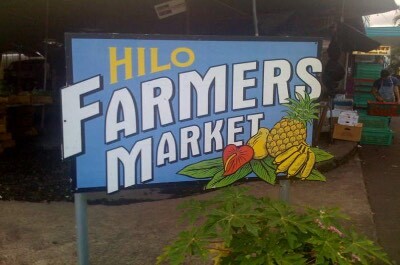 The Hilo Farmers Market is a Big Island attraction that is open everyday, but Wednesday or Sunday are the best days to visit when all the vendors are in attendance. Make a morning of it and enjoy lunch at one of the many stalls, sampling the best that Hawaii has to offer. 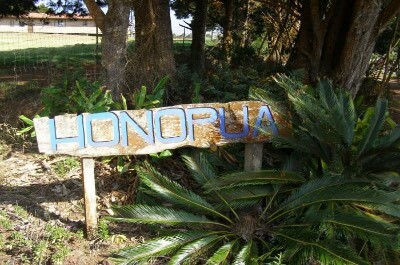 Learn all about a healthy lifestyle at the Honopua Farm - a popular Big Island attraction. Set off to the South Kohala district of the Big Island and spend some time on a privately owned organic farm. When Marie and Bill McDonald first purchased the farm almost 30 years ago, they grew flowers. After retiring, their daughter Roen and husband took over and experimented with organic vegetables. Today it is a thriving and fascinating venue specializing in fresh vegetables, lavender and cut flowers. Join a tour that will take you around the farm and let you meet the owners personally. They are always delighted to answer any questions you may have. The farm is located at a 2,900 foot elevation and specialises in Waimea lavender, kale, lettuces, carrots, beets, turnips and cabbage. Take the family for a day trip to experience a Big Island attraction that is a step away from the barren lava landscapes. Hawaii is known for its volcanoes and Hualalai is a massive and dramatic example towering behind the town of Kona. It last erupted in 1801 but scientists believe that it will probably erupt again within the next 100 years! In the meantime, that doesn't seem to to bother the residents or tourists who live in and visit the town. The mountain is somewhat less famous than its imposing neighbours and at 8,200 feet high is not as big as Mauna Loa. The slopes of the mountain are very scenic, dotted with coffee farms and many vacation resorts. The volcano also offers an important ecological region and is home to many rare species. There are some lovely nature reserves near the summit and you can enjoy a hike to see interesting views or lava landscapes. 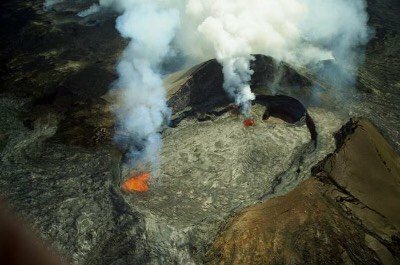 Visit this Big Island attraction before the next eruption! A combination of science and culture makes a great day outing for the whole family. 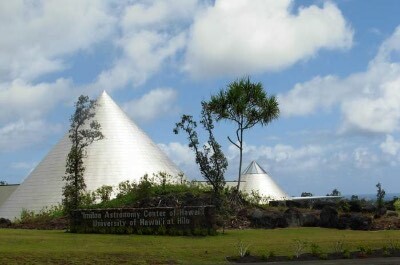 Head to the Imiloa Astronomy Center where you will find a campus with buildings inspired by volcanic designs. The roofs are conical in shape and were inspired by the three mountains, Maunakea, Hualalai and Maunaloa. When you step inside, you will awed by the massive skylight that hovers directly over an amazing entrance. A 14 foot mosaic creation shows the ocean, a voyaging canoe, Maunakea and the constellation known as Manaiakalani. This mosaic is called the Voyage of the Navigator and was designed by artist Clayton Young and has 140,000 glass tiles. This venue offers an exhibition that showcases a diverse range of topics from the origins of the Universe to traditional Hawaiian culture. Learn how ancient explorers used the stars and the constellations to navigate over sea and land. Enjoy a show at the Planetarium that will leave you breathless and then ponder upon all you have learned as you relax in the beautiful gardens. A great Big Island attraction for the family! 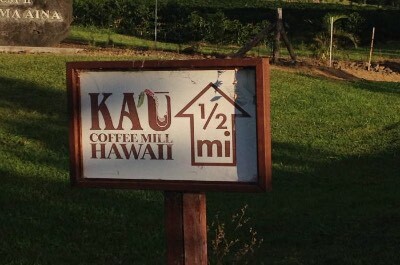 After enjoying numerous cups of Kona coffee, you need to experience another famous Hawaiian brand - Ka'u coffee, and the best place for this Big Island attraction is at the Ka'u Coffee Mill. Located south of Kona, this massive plantation offers tours where you can learn all about the growing, harvesting and production of coffee and its by-products. Known as 'from branch to brew' these tours are fascinating for the whole family. If you miss a tour, you can still enjoy the full experience by watching the activities of drying and roasting of the beans through a huge plate glass window. Once you are an expert, visit the fabulous shop, a paradise for all things decadent! Taste the exclusive estate brews and sample some locally-produced macadamia nuts. Try the unique and delectable Peaberry and the fabulous coconut caramel crunch and macadamia nut-flavored roasts. The walls are decorated with coffee-themed murals that will enchant. Spend time reading the Wall of Fame and learning about the people who made coffee a world famous commodity right here on Big Island. Did you know that before cattle ranching became synonymous with America, Hawaii had some of the largest cattle ranches in the world? Ranching dominated the slopes of the ancient volcanoes and cowboys or paniolo, rode horses, and roamed around in high boots with lasso's in their hands. Plan to visit Kohala's Kahua Ranch, our next fabulous Big Island attraction and get into the spirit of the cowboy world. Join a tour and mount your trusty steed. Follow your guide on a scenic walk along the rolling green hills as he tells you all about the history of the Ranch. Then experience the ranch on an iron horse, a high-speed ATV! Zoom across the rugged terrain and have a blast. As evening falls, settle down with your guide, friends and family around a camp fire and hear fascinating stories while you feast on a traditional buffet. Take a look at the stars through a telescope, the sky without city lights is a sight to behold. If you have enough energy left, try out your rope skills or toss some horseshoes into a grassy field as a great end to the day. Seeing the devastation that a live volcano can cause makes for a unique and sobering experience. Set off to the town of Kalapana on the eastern coast, a town that was, but is no more. This beautiful Big Island attraction was totally covered by a lava flow in 1990 when Kilauea erupted, pouring molten earth over the entire venue and turning it into a ghost town. A once pleasant and friendly place, today it is a blackened graveyard of homes covered by ashes. Almost 100 homes were destroyed and many people killed as the burning orange magma poured down streets swallowing up everything in its path. A few locals still live here but the venue is mostly visited by tourists who come to see the live effects of volcanic activity. Lava still pours out, forming surreal landscapes that extend into the sea. Over 500 acres of new land have been created since 1983. Stop and be awed at this Big Island attraction. Pay a visit to an outdoor Museum that tells the story of Hawaiian archaeology and history of how its people survived in this desolate volcanic landscape. Not all is bleak! With much thought and innovation, the locals worked with the natural landscapes to plant, grow and nurture food and animals. Located just south of Kona Airport is an amazing tribute to this, the Kaloko Honokohau National Historical Park. Take a stroll and admire the ancient fish ponds that were used to feed the village people. Learn about the historic heiau that were used to worship the Gods as you wander along the picturesque paths. When it gets too hot, head for the white sands of the Honokohau Beach or a take a dip in the famous Queen's Bath. You can find a secluded spot and remain here for hours soaking up the ambiance. 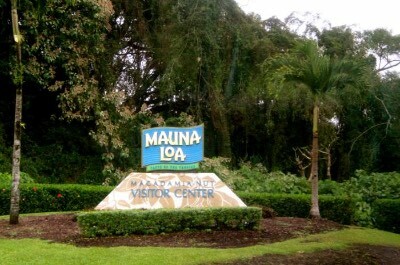 A great Big Island attraction to rejuvenate your soul. Another town that succumbed to the wrath of a volcano was the lovely town of Kapoho on the east coast in 1960. When Kilauea erupted, the whole town was destroyed and the only building left standing was the lighthouse. Over 100 homes were destroyed and the survivors decided to move to a new area to rebuild. 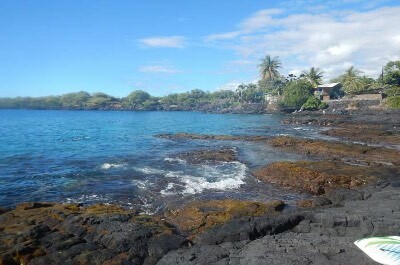 The remnants that were left can still be seen to this day and the tide pools created by the lava make for some of the best snorkeling on the Island, a must-see Big island attraction. Get your masks, fins and flippers and get ready to explore the magnificent marine life that thrives in the pools. These protected pools offer crystal clear water and myriads of colorful species. The weather on this side of the coast is often sunny when Hilo is wet, making it a perfect get-away. After your snorkeling adventure head to the nearby Champagne Pond. Hot thermal vents heat up the water of this natural sauna-come-spring pool, making it the perfect spot for unwinding and relaxing. Hawaii is full of fascinating stories and the tale of Keauhou Bay is one of them. Legend tells that Queen Keopuolani gave birth here in 1814. At first, it was believed that her infant son had been stillborn and sorrow reigned deep. However, a priest managed to revive the infant by placing him on a stone and the child would live to be the longest ruling monarch of Hawaii, Kamehameha III. 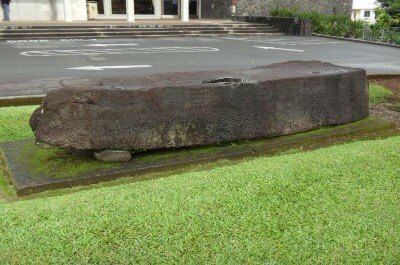 You can see the Kauikeaouli stone and it is recorded on the National Register of Historic Places. Today, it is the launching point for luxury snorkeling tours into Kealakekua Bay. You can also join scuba diving tours or rent a standup paddle or kayak that are available at the oceanfront park. This once sleepy town is now a Big Island attraction and tourist hotspot filled with golf courses, resorts and luxurious condos. Join a night time snorkeling tour to see the shoals of Manta Rays that visit Keauhou to feed on schools of plankton. An experience that will create memories to last a lifetime! Can't get enough of the beautiful waterfalls of Hawaii? 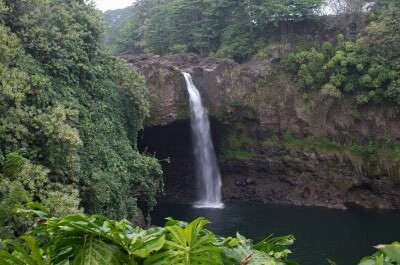 Our next Big Island attraction will take you to see the magnificent Kolekole Falls, north of Hilo. The falls are located in the Kolekole Beach Park on the Hamakua Coast and are hidden beneath a bridge! But they are well worth a visit. The setting is lush, green jungle and you when you come across the waterfall cascading down the cliffs into the rocky pools you will be delighted. This area features rocky beaches and strong currents, so swimming is not recommended. The stream however, is calm and makes a great swimming spot with a challenging rope swing tied to a Bunyan Tree for those who like an adrenaline rush. The lovely Park nestles alongside the water and offers a picture-perfect spot to fish and picnic. There are also tables, facilities for barbecues and restrooms. Take the family and make a day of it! Nothing makes a better combination than history, culture and coffee and the Kona Coffee Living History Farm is the place to experience it all. 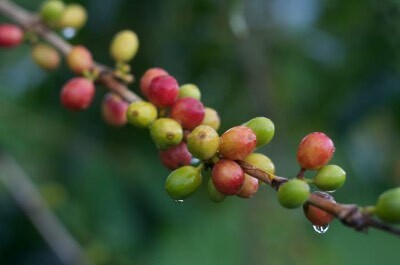 Coffee plays a huge part in Hawaiian life as well as being a very lucrative and important export product. Plantation workers arrived in Kona in the early 1900's from all corners of the earth to work on the sugar, coffee and fruit farms. This authentic and fascinating Big Island attraction is located on the grounds of the historic D. Uchida Coffee Farm. Daisaku Uchida arrived from Japan in 1906 and leased the farm and to this day it continues much unchanged. 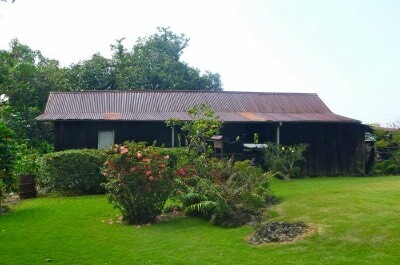 When the area started to be developed for residential use, the Farm was preserved as a Heritage site and donated to the Kona Historical Society. Take a stroll through the farmhouse and see where the coffee was processed. Learn about the processes and sip some samples of this iconic brew. Finish off with some delectable fresh macadamia nuts! As you travel around Big Island, you will be tempted by a range of Macadamia nuts! This fabulous treat is a culinary staple of the Island and can be eaten raw, smothered in chocolate, roasted, made into puddings, cakes and other delicacies. So what better way to spend a day than to learn all about Macadamia nuts, from growing to selling at the Mauna Loa Macadamia Nut Factor? This entire factory in Hilo is dedicated to the wondrous nut that is so hard to crack but so easy to eat! Take a self-guided tour and become an expert on planting, harvesting, roasting and canning. Get insider info on delicious recipes for using the nuts that will wow your friends at your next dinner back home. Even the most experienced cooks will find something exotic to try Ð how about cooking them in wasabi or onions for starters? Put this Big Island attraction on your list! The Naha Stone makes a spine tingling day outing and will have you reaching for the history app on your mobile to learn all about its fascinating story. Legend tells that the rock weighs between 2.5 and 3.5 tons and was supposedly brought to Hilo in a double canoe from the island of Kauai. Tales of strength and endurance surround this Big Island attraction. Ancients of Naha descent used it in a test of royalty. When a baby boy was born, he was placed on the stone. If he remained quiet and calm he was deemed to be of Naha descent. If he cried and was not calm then he was not a true Naha. It was also told that whoever could move the rock would be the ruler of Hawaii. King Kamehameha I overturned the massive stone when he was only 14 years old. He went on to unite the Hawaiian Islands into one royal kingdom in 1810 after years of fighting. Just when you think you have seen it all, there is another Big Island attraction that cannot be missed. Onomea Bay makes a perfect day outing with a scenic drive that will leave you breathless. Set off with your camera for views of the meandering coastline, the azure blue waters and lush tropical forests. 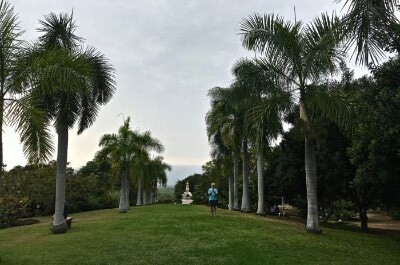 Along the route, you can stop in at the beautiful Hawaii Tropical Botanical Garden for a stroll and a cup of famous Kona Coffee. Then see the Onomea Arch, which collapsed during an earthquake in 1956. As you travel, look out for streams and cascading waterfalls, in this region of paradise. The Bay was originally a small fishing village and then became a docking spot for larger ships. You can still see the Donkey Trail, a path that was used to take sugar and produce down to the water. This path can now be used as a scenic hike. The Bay itself offers fabulous swimming, snorkeling and diving opportunities to explore and discover the diverse and colorful marine life of this Big Island attraction. 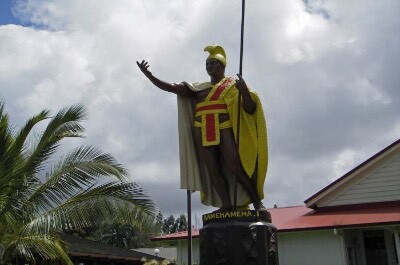 Visiting a 9 foot tall statue of an imposing King is a fascinating Big Island attraction for those who love history. This massive creation of King Kamehameha the Great stands on the North Kohala Civic Center lawn in the small town of Kapaau. With a glorious golden helmet and welding a spear, he dominates the skyline! There are many statues honoring the King on the Island but this stands closest to his place of birth. He was born not far from here in 1758 and spent his early years in hiding in a nearby small valley where he was kept safe from battling tribal factions. He would later prove to be an exceptional leader, proving his strength and acquiring each of the Islands for the Kingdom of Hawaii by 1810. The statue was originally built to stand on a site in Honolulu. It was constructed in Europe and took many years to make. During the journey to Hawaii, a storm sank the ship and the sculpture plummeted to the bottom of the sea. Insurance money was used to build the current one you will see on Big Island. Enjoy driving? Take a long and lonely road for a unique experience that will give you a different view of a Big Island attraction. Saddle Road links Hilo to Kona on a 48 mile stretch with limited cell phone service, few shops and no facilities. So be prepared! The road has been upgraded and the drive is very scenic. Travel through residential neighbourhoods and out towards the verdant, green rainforests. Mist and fog is common, making the experience all the more surreal and creating beautiful rainbows as the sun rises. After the forests, the landscape becomes dry and desert-like with scrubby bushes and brown earth. The road passes between the two iconic volcanoes, Mauna Kea and Mauna Loa, as it climbs over 6,600 feet above sea level. If you are looking for civilization, watch out for the turn to the Mauna Kea Visitor's Center, where you can spend an evening star gazing. The fun never stops with our Big Island attractions! If you still have time you need to explore Waikoloa on the west coast. This village is located just south of the Kohala Peninsula and lies about 9 miles inland from the beach. The road is dotted with hotels and resorts and golf lovers will be thrilled to know that they can enjoy a few rounds in the most stunning scenic setting of lush green grass, swaying palm trees and the turquoise ocean in the background. As you leave the village and head for the beach, you will pass the town of Puako, which lies between Waikoloa Village and the ocean. Pauko is more geared towards tourist activities, while Waikoloa is more residential, home to many locals who live in this paradise setting. The beach offers clean, clear water, ideal for families. You can swim, snorkel, take part in water sports or just soak up the sun. 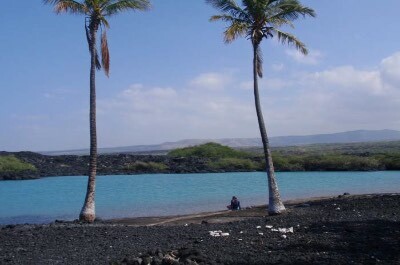 Then take a walk and explore the Waikoloa Anchialine Ponds, lava formed pools, fed by a mixture of fresh and salt water through the rock that teem with exotic marine life. Can you imagine a fun town where the stop sign reads 'Whoa' instead of stop? Waimea in the interior of the Island is our next must-see Big Island attraction. Although the town nestles in the foothills of the mountains, it is almost 2,700 feet above sea level. Plan on spending a day or more to explore. The most famous attraction is the Kahua Ranch, a working sheep and cattle ranch where you can take a guided tour and learn about the paniolo, or cowboy, lifestyle. Take a horseback ride for an authentic experience or have some fun with the family bumping along the rugged off-roads in an ATV. Enjoy dinner at the famous Merriman's Restaurant. Peter Merriman is a world renowned chef and is one of the founding members of Hawaii Regional Cuisine. Then immerse yourself in arts and culture at the Kahilu Theatre. This 490 seat theatre offers fabulous shows by renowned musicians, dancers and artists. Nature lovers will be in heaven when they visit the Hawaii Tropical Botanical Garden, a famous Big Island attraction. This magnificent venue attracts photographers, scientists and botanists from the corners of the globe. The Garden is located off of Highway 19 on the Hamakua Coast 4 Mile Scenic Drive, to the north of Hilo. 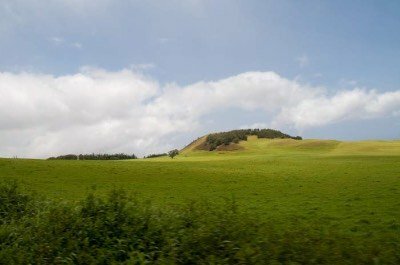 It offers 40 acres of land which is a natural greenhouse, protected from the winds and fed by the rich and fertile volcanic soil. No wonder over 2000 species thrive here! Wander around and enjoy the beautiful paths, bubbling streams, nature trails with cascading waterfalls and scenic views of the rugged Pacific coastline. The Hawaii Tropical Botanical Garden is a scientific and Educational organization dedicated to showcasing these treasures to tourists and to the locals. Here you will stand in awe at the plight of the rainforests and leave with a better understanding on the need to preserve them for generations to come. Did you know that you can fulfill a lifelong dream with this Big Island attraction? If swimming with dolphins is on your list of things to do in your lifetime, head to Dolphin Quest in the Hilton Waikoloa Village resort's crystal blue ocean lagoon. They offer amazing encounters with dolphins for all ages from 2 years upwards. You can choose your tour to get the best possible experience. 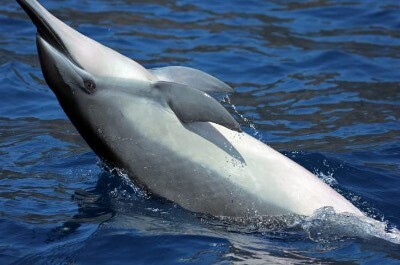 Spend time close to the shore in a calm and quiet, shallow area, playing and cuddling these magnificent creatures. Or, take a swim into the ocean and enjoy a dorsal-push and some high jumps. You can recruit a private trainer who will take you on a Deluxe Encounter and teach you all about the dolphin's life and habits. Then spend time feeding and playing with the babies. Want even more? Why not sign up to be a trainer for a day or a week? An unforgettable Big Island attraction! 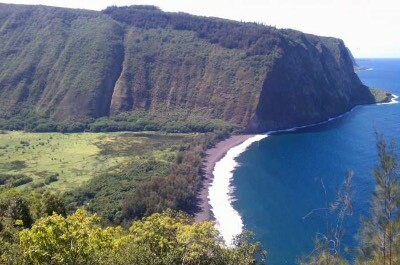 The sacred Waipio Valley is located on the north Hamakua Coast and is rich in culture and history. This was the home of King Kamehameha I when he was a child and is an important center for religious and political life in Hawaii. Set off to explore this fabulous Big Island attraction. You can go alone or join a tour. The setting is dramatic Ð a fertile valley nestling below towering cliffs 2,000 feet high. Known as the Valley of the Kings you are sure to be inspired. This valley was once inhabited by 1000's of locals but today is home to only a handful of people. View the valley from the stunning Waipio Valley Overlook. Alternatively, take a guided van tour, hike or horseback ride. If you intend driving yourself, the road is extremely steep and you will require a 4x4. Have cameras ready to take photos of the astounding Hiilawe Falls, the tallest in Hawaii, which cascades 1,300 feet down the cliffs. 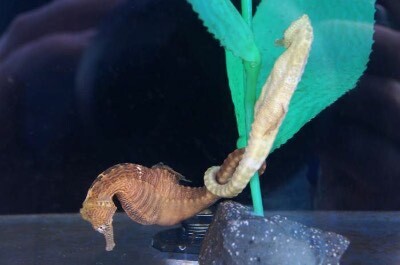 Nature lovers enjoy learning about new things and now you have the opportunity to learn all about the seahorse on our next Big Island attraction. The Ocean Rider Seahorse Farm is a family run business and is located in Kona. It offers an amazing exhibition of aquariums filled with over 20,000 seahorses across 15 different species. Research and development continues here and the plan is to increase the number of species and preserve them from extinction. Take a guided tour and be awed by these beautiful creatures. Learn about their habits and life and take part in feeding. Your guide will tell you all about the oceans and waterways and how they are striving to preserve them for future generations. If you fall in love with one, you can buy her to take home, complete with tank, food and instructions! The Hula Daddy Kona Coffee has a special slogan - 'Because Life is Too Short for Bad Coffee'. That should thrill coffee lovers the world over! Hawaii is known for its iconic brands and a visit to this Big Island attraction will have you sipping and sampling the best on the Island. This world class farm was created in 2002 by Lee and Karen Paterson, who bought an 11 acre field in Kona. They hired a a local agronomist with a view to producing one of the top ten coffees in the world. 7,000 coffee trees were planted and three years later a crop was harvested that was the start of this iconic journey. After years of work and dedication, awards and good reviews started flowing in! Join a guided tour of the plantation which takes you through the orchards and into the roasting rooms. Learn all about coffee and its by-products. Relax in the scenic surroundings and sample some variations and then buy a pound or two or take home! A not-to-be-missed Big Island attraction. 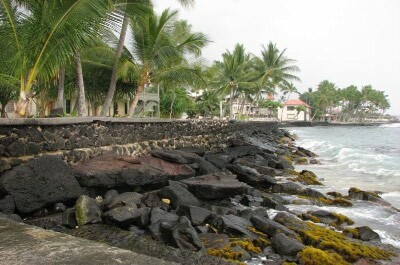 Hulihe'e Palace is located on Alii Drive in Kailua Kona and was originally the vacation residence of Hawaiian Royalty. 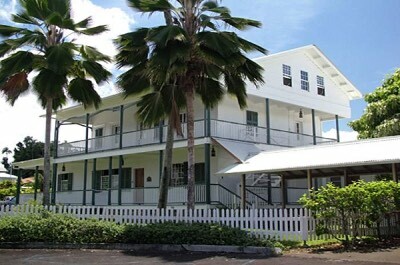 You can visit this magnificent Big Island attraction and admire the beautiful furniture and fascinating artifacts. Stroll through the rooms and see history preserved! The Entry Hall features a King's souvenir from travel to California. In the Kuhio Room you will see a wonderful koa table and a Queen's travelling trunk. The second floor Sitting Room is furnished with classic Victorian furniture and several Royal accessories. Then step into Princess Ruth's Bedroom and see her personal furniture. Outside, there is a lovely historic fish pond and the beautiful Mokuaikaua Church is directly across from the Palace. Before you leave, visit the quaint gift shop and treat a loved one to a special hand crafted souvenir. Shop till you drop! 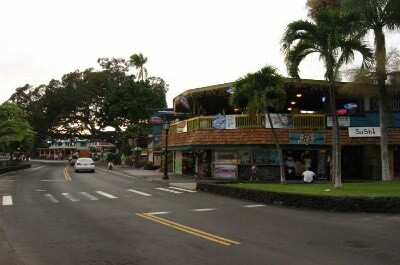 Ali'i Drive is the main street of Kailua-Kona on the west of the Island. Here you will find restaurants, entertainment, markets, hotels, resorts and historical sites. Take a stroll, day or night, it is always packed with people and the atmosphere is vibrant, colorful and fun. Ali'i Drive runs from Kailua Pier and ends at the Keauhou Shopping Mall. On the pier side, you can watch the luxury cruise ships coming and going. Bargain for some hand made crafts at a local stall and buy a souvenir to take home. Historians will be thrilled to explore the historical sites of Ahuena Heiau and the Hulihee Palace. Then pay a visit to the Mokuaikaua Church, the first church in Hawaii. Relax at a cafŽ and watch the fiery sunset over the ocean. This Big Island attraction makes a perfect day outing for the whole family. 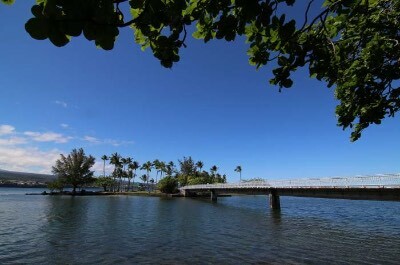 The most popular beach in Hilo is Coconut Island, a lovely Park that is easily accessible from the Lili'uokalani Gardens. This Big Island attraction is a family-friendly venue, perfect for a day outing. The kids will be thrilled to jump from the tower into the ocean, parents can relax under the shady trees on the grass and then everyone can do some turtle watching from the bridge that connects the park to the mainland. Stroll across the bridge and get fabulous photos of downtown Hilo. History lovers will be enthralled by the ancient temple in the middle of the island, which is now used for community events and barbecues. As always in Hawaii, there is a legend attached to this place! It tells the story of how those who had broken the laws or Kapu, could flee here and take refuge. If they managed to escape the warriors chasing them, they would be pardoned, else death would follow. A great day outing with restrooms and lots of facilities. Over the years, tsunami's have wrecked havoc on the Island, killing people, wiping out towns and villages and causing untold devastation and suffering. This is unfortunately a part of Hawaiian life that cannot be forgotten. Take an uplifting visit to another Big Island attraction that will make you proud to learn what is being done to minimize damage caused by these forces of nature. 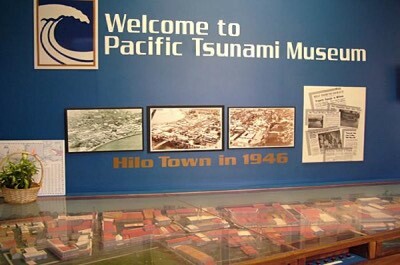 The Pacific Tsunami Museum was created to promote education, preserve history and stand as a memorial to those who lost their lives. Stroll around and see the amazing exhibits. Learn about heroes who saved lives and how to tell if a tsunami is approaching. Scientists work here ceaselessly, recording movement in the earth, weather patterns and creating plans for evacuation and rescue. Hawaii is tsunami and earthquake ready and hopefully you will never get to experience one while on vacation! Pick up your safety guide just in case. 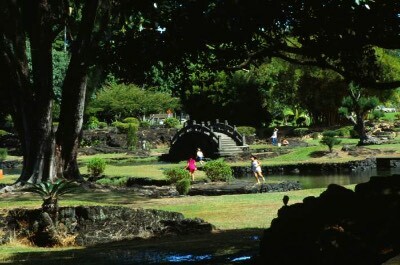 Take some time out with the family and relax in the magnificent Queen Liliuokalani Gardens located near to the town of Hilo. This 30 acre park filled with Japanese gardens makes a paradise setting to stroll around and sit and relax. The gardens are filled with tranquil walkways, streams, ponds and stone bridges. There are also koi ponds, traditional pagodas, statues and a Japanese teahouse. The park was created in in the early 1900's and is the largest of its kind outside of Japan. It was named after Hawaii's last reigning monarch, Queen Liliuokalani and was dedicated in 1917 to Japanese immigrants who worked in the sugar cane fields. Rejuvenate your mind and soul as you soak up the perfect ambiance of peace and tranquillity. 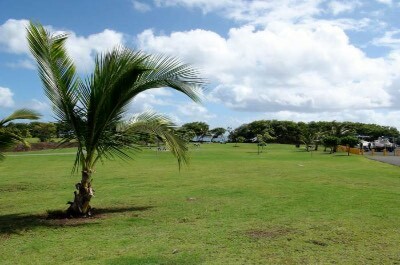 From the Park, you have a wonderful view of the nearby Coconut Island, Moku Ola and also a view over Hilo Bay. Don't miss this Big island attraction! Photo by rjones0856 on Flickr. If you want to get up close and personal with sea turtles, head off to Kiholo Bay. This protected natural Big Island attraction offers beautiful calm, clear blue tide pools with a mixture of fresh water and sea water, home to thousands of turtles. You can choose to visit on your own or you can join a hiking tour with a knowledgeable local guide who will teach you all about turtles. The hike also visits a flooded lava tube and a black sand beach. If you want to swim with the turtles, grab your snorkeling gear and head for the water. The pools are easily accessible via a ladder. The turtles are friendly and always available for a photo shoot! Remember that you are not allowed to touch them. When you are done, put on your shoes and take a walk along the beach looking for treasures. Bring your own water and eats and plan to spend the day at this Big Island attraction. Wandering around a harbor is fun and interesting for the whole family. With the hustle and bustle, boats coming and going and fisherman bargaining, it makes a great day outing. This Big Island attraction is Honokohau Marina & Small Boat Harbor which is located in Kona and easily accessible from the hotels and resorts. If you dream of catching that 1000 pound Marlin, this is where the deep sea fishing charters depart and land! Join a tour and try your luck. For sports lovers, you can take a snorkel or dive tour to explore the magnificent marine life. If you prefer to remain dry, relax at one of the many restaurants and do some people watching, then take a stroll through the stores, browse or buy! For lovers of the nautical life-style, you can see weighing scales for the fish catches and nature lovers can spot turtles and tropical fish. A fun and vibrant venue with fabulous views and all the facilities you need. 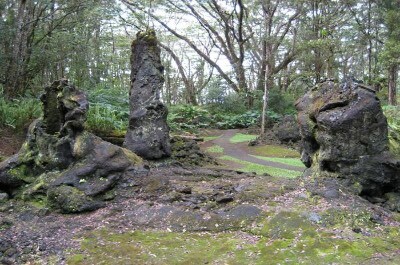 For a surreal experience, take a trip to Lava Tree State Monument. It is located 2.7 miles south east of P?hoa. Here you will come across a trail that takes you past the lava molds of ancient trees that were covered by the molten magma when it swept over forests in the year 1790. These weird and strange shapes still stand and make for some unusual photos. There is a trail that is just under a mile long that you can hike along. The path is paved and it is quite an easy walk, take it slow and look at the strange formations! Some parts of the path are covered with uprooted trees, so children and the elderly need to be cautious. Entrance is free and there are restroom facilities and picnic tables. A fun outing if you are looking for a different Big Island attraction. Photo by Scott Carpenter on Flickr. 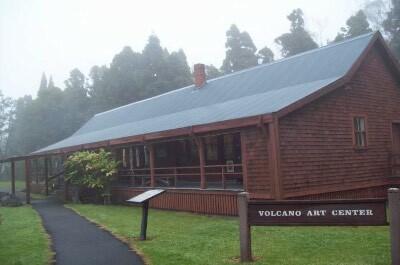 Lovers of art and nature can get their creative talents flowing at the Volcano Art Center, a popular Big Island attraction situated in the old 1877 Volcano House Hotel in Kilauea. Built in honor of Pele, the Hawaiian goddess of the volcano and of creativity and Fire, the Center attracts local and international artists of all types who come to showcase crafts, songs and dances. Performers, writers, poets and educators gather here to express art in all its forms. This is Mecca of learning within nature and expressing all that the beautiful Island has to offer. Michael A. Nelson, Executive Director has years of experience in creating world renowned venues for tourists that also boost the local economy. Come and take part in an art lesson, listen to a poetry reading, stroll around and get immersed in talent and creativity. Learn how to make a lei and hula implements, do some lauhala weaving, kapa beating and ukulele playing. Then choose to buy a beautiful wood, ceramic or glass souvenir to take home. 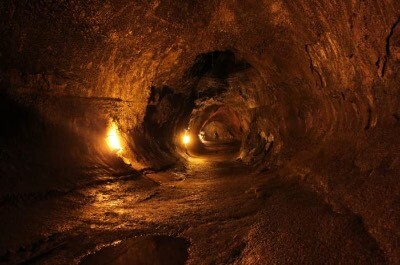 Descending into a lava tube is sure to get your adrenaline pumping on this amazing Big Island attraction. 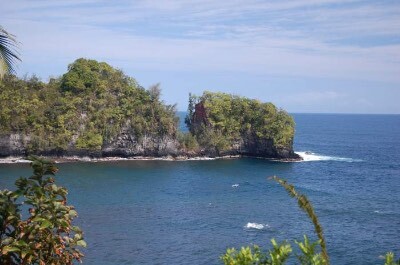 Set off to the Kaumana Caves Park, located on the Saddle Road just above Hilo Town. This natural sight can be explored by the brave! 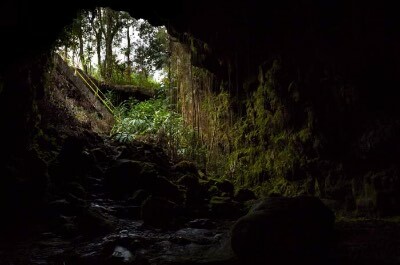 The Kaumana lava tube was formed by lava flowing from the eruption of Mauna Loa in 1881. as the molten magma approached the town, legend tells that Hawaii's Princess Ruth prayed to Pele, the Hawaiian goddess of religion and fire, to spare the town. The lava stopped flowing a mere 1.5 miles from Hilo Bay! Descend down into the murky depths, via a concrete staircase. The path is damp and muddy with vines and roots hanging down. There are skylights, so it is not all dark, but caution is advised! You can venture almost 2 miles into the cave, but beware, it gets darker and more difficult as you progress. Bring water, headlights and proper gear for the trip. If you are unsure, join a tour where a knowledgeable guide will show you the highlights. Looking for another cave adventure in Hawaii? 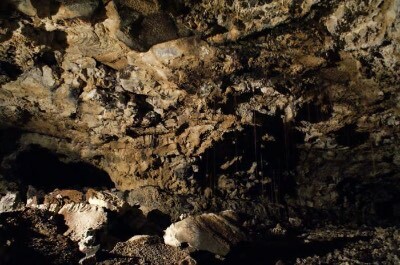 Then you cannot miss this Big Island attraction, the Kula Kai Caverns. This natural venue is located in Ocean View on the south side of the Island. The cave system was created by lava flows thousands of years ago and form a surreal landscape that can be explored by the brave! Join a tour and follow your local guide through the tunnels, learning all about volcanic activity as you walk along. The setting is awe-inspiring with braided tubes that interlink and lead outwards into small tunnels. Don't get lost. If you have small children, join the Lighted Trail Tour which is an easy walk. For those who are more fit and adventurous, the Crawl will have you geared up with helmets, lights and knee pads, as you navigate narrow tunnels. For the romantics, enjoy a twilight tour, where this wonderland is reflected in the setting sun and the tour ends after it becomes dark. Swimming in a volcanically heated pool is not something you do everyday! Set off to Ahalanui County Beach Park for an experience of a lifetime as you revive your mind and body in this natural setting. 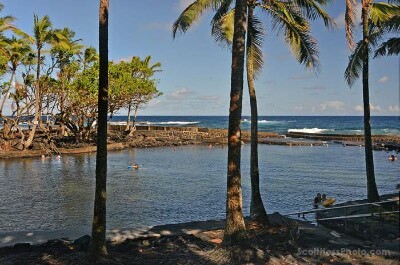 The Park is located on the east shore near Pahoa and offers a unique bathing experience on our next Big Island attraction. The pool is partially man-made and part natural and is located on the ocean shore. It is a spring-fed walled pool, that retains a temperature of 32¡C. Fish from the ocean swim into the pool via a small inlet and the water is crystal clear but does have a slight sulphur smell. Climb down the ladders and slip into the warm water. Soak and enjoy the health benefits of this stunning sand and mud rejuvenating natural spa. Great for beginner swimmers and children with a lifeguard on site. When you are done, the banks offer a lovely scenic setting for a picnic or walk, with palm trees and benches. A zoo with a unique tropical vibe makes a great day outing and a not-to-be-missed Big Island attraction. 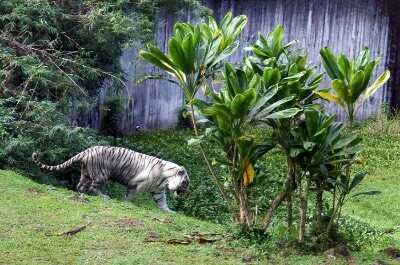 The Pana'ewa Rainforest Zoo is situated about 4 miles outside of Hilo Town. Here you will find an exotic mix of rainforest animals and endangered Hawaiian species. Take a walk around and see spider monkeys, lemurs, nene geese and beautiful peacocks displaying their feathers. There are over 80 species of animals to discover. The Pana'ewa zoo is also a botanical garden filled with bamboos, orchids, 100's of types of palms and a magnificent water garden. On Saturday's the kids can get involved in petting and feeding, a great experience for the little ones! Support this fabulous venue by buying a souvenir at the gift store or leaving a donation to help with their outreach activities. Get out of the heat and into the cool interior of the Lyman Museum. On this Big Island attraction you can learn all about the history and culture of Hawaii. From volcanoes to ancient tools, you can explore the exhibits and become an expert. In the Island Heritage Gallery you can see examples of the way the Hawaiian people lived. Look at their tools and implements which were made from materials they scrounged from the earth, there was no metal! In the Habitats of Hawaii Exhibition you will explore Alpine mountains to oceans. Kids will be thrilled by the 10 foot long tiger shark. Art and photographic exhibitions take place on a regular basis and change to showcase different artists, so you can visit again and again and never get bored. After the Museum, take a tour through the Mission House. These exclusive tours are limited to groups of 10 people at a time. Ancient symbols carved into lava rocks will send shivers down your spine when you visit the next fascinating Big Island attraction. 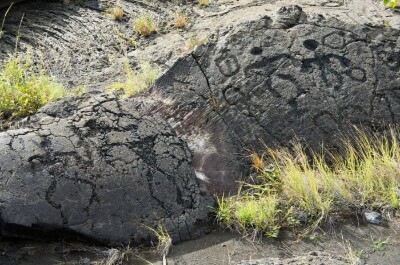 The Pu'u Loa Petroglyphs are located on the southern flank of the Kilauea volcano. These carvings in the harden lava are known as petroglyphs. 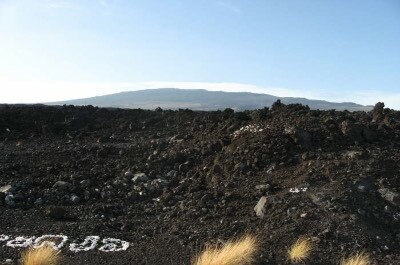 The archaeological site of Pu`u Loa contains over 23,000 images. There are holes, circles, other geometric shapes, pictures of sail boats and human representations known as anthropomorphs. Spend time on a tour learning all about these mystical drawings done by ancients to depict events that took place in their day to day lives. Birth, death and ceremonies were all recorded in minute detail. Follow your guide along the board walk on this Hilll of Long Life and be awed as he explains the information to you. The petroglyphs are extremely fragile and cannot be touched! A beautiful sanctuary of peace and tranquillity awaits at the Paleaku Gardens Peace Sanctuary. It is situated in the heart of the Honaunau Valley on Painted Church Road. This magnificent garden will inspire you to relax and soak up the stunning nature of the Island. Plan for a morning or afternoon outing and visit the greenhouses that display an array of tropical plants and orchids. Wander along the paths that twist and turn through beautiful vistas and secluded resting spaces. The gardens offers the World's first galaxy garden where you can learn about the ancient Hawaiian petroglyphs and Tibetan sand paintings. Calm your mind as you walk the Labyrinth and then stroll through orchards of nuts, mango groves and under shady palm trees. 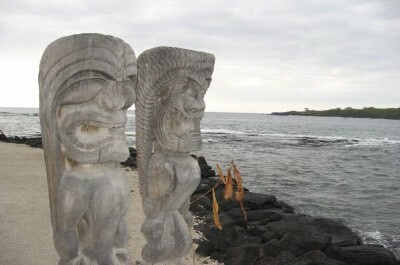 Monuments and statues decorate the gardens and complete this picture-perfect setting of our next Big Island attraction. Before you leave, visit the art gallery and buy a souvenir to take home! Follow in the footsteps of the great king Kamehameha I when you visit the stunning Puukohola National Historic Park. This historic Big Island attraction features one of the most sacred and largest temples that played a huge roll in Hawaiian history and culture. Take a guided tour and learn all about this place of refuge where locals would hide if they had disobeyed laws and were going to be put to death. The structure was built by hand with no mortar, using a human chain that stretched for 25 miles, passing rocks to the site. On the tour you will discover a host of historic places. See the ruins of Mailekeini Heiau and the Hale o Kapuni, a submerged heiau, created in honor of the Shark Gods. The Visitor's Center offers amazing videos, displays and loads of information to make this an unforgettable experience. What could be more decadent than honey, coffee, macadamia nuts and chocolate? Head off to Paradise Meadows where you will indulge your senses with all of these and more! This Orchard and Bee Farm is the home of Hawaii's most famous award winning coffees, treats and honey brands. The farm is located on 75 acres in the South Point area. Take a tour and learn how the farm works and how the products are grown, harvested and processed. Sample a range of honey, nuts smothered in chocolate and sip iconic coffee. Art lovers will be thrilled to see the work of resident artist, Megan Collins, who works and displays on site. As you wander around, look out for the flock of free-range Muscovy ducks that are totally adorable! This Big Island attraction makes a great day outing for the whole family. Last but not least, the Botanical World Adventures awaits those who still want more fun in Hawaii. 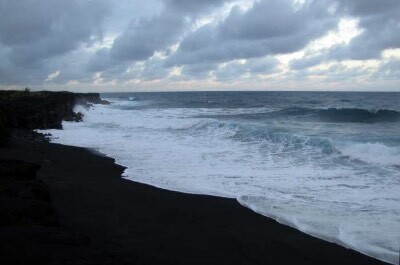 This natural Big Island attraction offers eco-adventures in a peaceful and beautiful setting. Head 16 miles north of Hilo and you will find the gardens nestled between the slopes of Mauna Kea and the Pacific Ocean. The first sight to greet you is the panoramic 360 degree vistas of the Mauna Kea volcano, the stunning views of the Pacific Ocean and the countryside settings of the paniola-style cattle ranch. Take a hike to the spectacular Kamae'e Falls waterfall which cascades nearly a hundred feet down the cliffs. For the brave, you can zipline above the rainforest canopy for an adrenaline rush. For something calmer, ride through the gardens and rainforest on a Segway. Take a leisurely stroll on the paved walkways under shady rainforest trees. Flower lovers will be awe-struck at the 100's of wild orchids clinging to the 260 foot long Orchid Wall in the Rainbow Walk. Then take the kids and wander through the Children's Maze. It is world's second largest herbaceous maze, supreme fun for all ages! Now that you know all about seahorses, dolphin's and turtles, there is one more sea creature waiting to be discovered on our next great Big Island attraction. Visit the Kanaloa Octopus Farm and learn all about these weird and wonderful slimy creatures! Located in Kailua-Kona, it makes a great day outing for the whole family. Take a guided tour to learn all about the life and habits of the octopus. Get up close and personal and see how the farm breeds and sustains these sea creatures. Unfortunately, overfishing, destruction of habitat and pollution of the oceans all lead to the decline in octopus populations all over the world and the farm works towards preserving them. You can feed and hold an octopus in your hand, then take a tour of the hatcheries and see the babies. The head researcher is Jake who will enthusiastically tell you all about his special project.